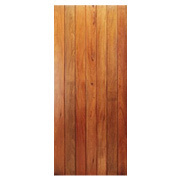 This interior wooden door is available in size of size 84″ (height) X 42” (width) and standard thickness of 1½”. 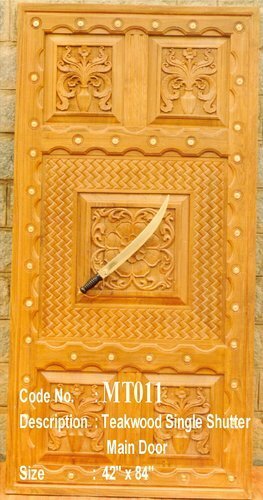 This door is made using slats of wood joined with a tongue and groove and is planed with grooves running from top to bottom at equal intervals. These doors can be used for study children area, bar and lounges etc. This door can be made to order in any size and the designs can be changed to match the requirement of the customer. 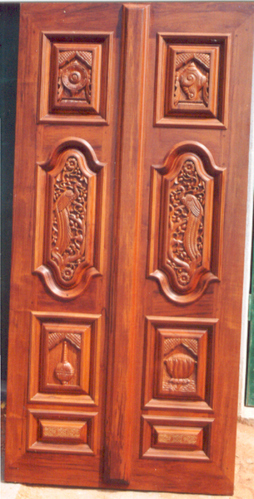 This interior door is of size 84″ (height) X 42” (width) and standard thickness of 1½”. 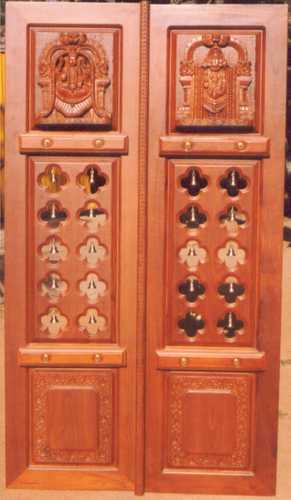 This door is made using slats of wood joined with a tongue and groove and is planed with grooves running from top to bottom at equal intervals. These doors can be used for study children area, bar and lounges etc. 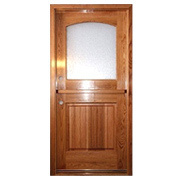 The finish of the door is in natural matt polyurethane coating. 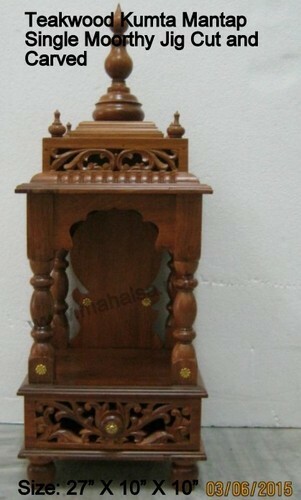 This internal wooden door is of size 84″ (height) X 42″ (width) and standard thickness of 1½”. This door contains six panels. Top two square panels, central and bottom rectangular panels. These doors can be used for bedrooms and bathrooms. This door can be made to order in any size and the designs can be changed to match the requirement of the customer. 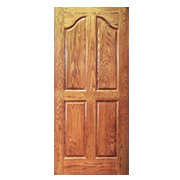 The finish of the door is in Natural Matt polyurethane coating. This paneled internal wooden door with frame and side light is available in size 84″ (height) X 52″ (width) and standard thickness of 1½”. This door consists of one top panel and three bottom panels; one horizontal and two verticals. The sidelights contain mullions with glass in between to allow light and ventilation. This door can be used for a balcony, sit out or other external access areas. This paneled internal door has a smooth finish and an everlasting shine. 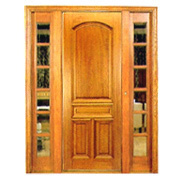 This internal wooden door is made using glass and is of size 84″ (height) X 42″ (width) and standard thickness 1½”. 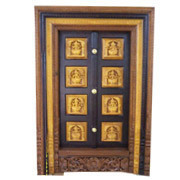 This wooden door has top panel of glass and bottom panel of solid wood and can be used for kitchen pantry or external door if fitted with safety grills. 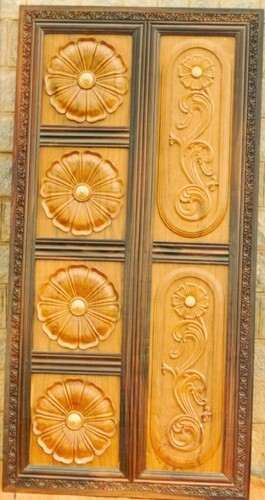 This door can be made to order in any size and the designs can be changed to match the requirement of the customer. 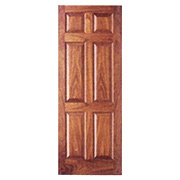 The finish of the door is in natural glossy polyurethane coating.